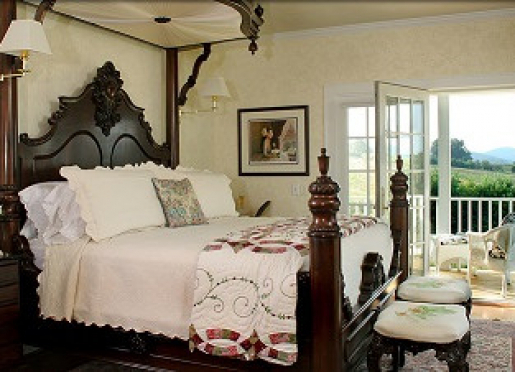 Brierley Hill, a Picturesque Inn, located just outside of the quaint little town of Lexington Va. 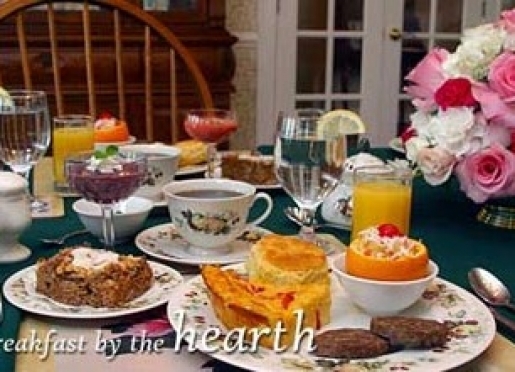 While visiting this charming Virginian bed and Breakfast you will enjoy the sounds of nature all around, while overlooking the incredible views of the Appalachian, Shenandoah and Blue ridge mountains. 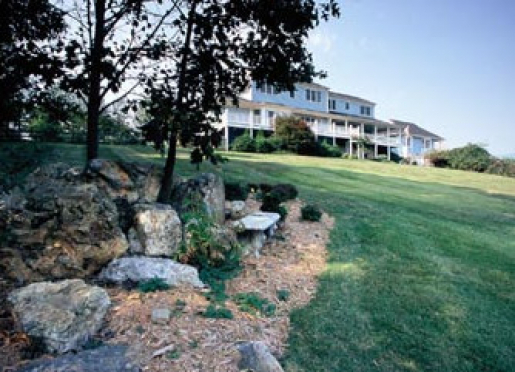 Our secluded location leaves you feeling like you are worlds away from civilization, but in fact we are less than 2 miles from Historic Lexington. 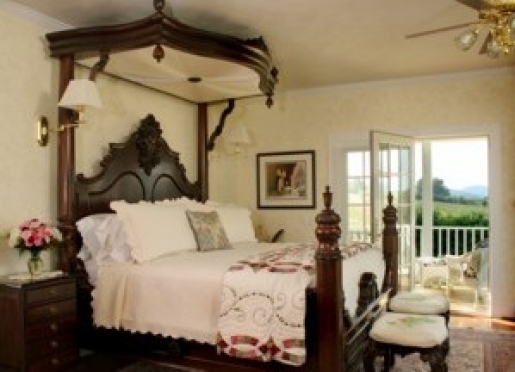 Brierley Hill, build specifically as a bed and breakfast in 1993, has been a long time favorite for travelers world wide, named after the Antique clock located in the foyer, the Brierley is the epitome of laid back luxury and Southern Grace. 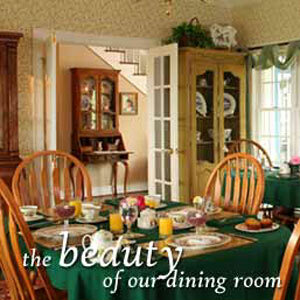 Voted top ten Romantic Inns by Bed and Breakfast. Com, and I Love Inns will have wanting to come back again and again. 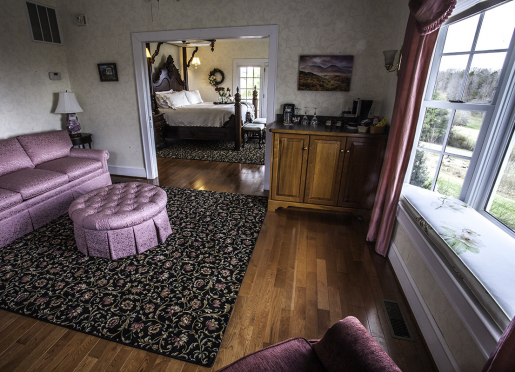 Imagine Your Elopement Ceremony in Lexington, Virginia! We’ll plan your elopement ceremony so you can enjoy your special day! 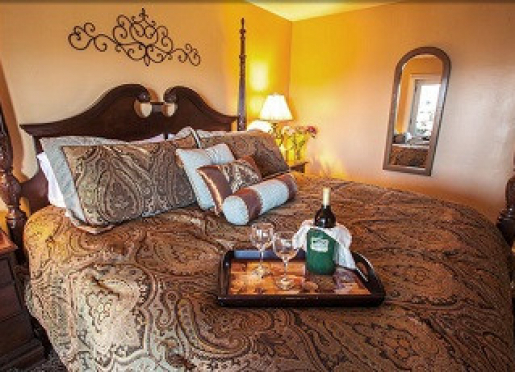 Cost for the Elopement/Vow Renewal Package is $1,960 - $2,200 (depending upon which suite you choose) and we accept personal checks, cash or money orders (credit cards are not accepted). Brierley Hill charges a non-refundable down payment of $500 to hold your date. The balance is due 60 days prior to the event. In the event that you make the reservation within 60 days, the full amount (including the non-refundable $500) is due immediately. To learn more, please visit our website. "Brierley Hill was everything I hoped it would be and more for our wedding. They helped us plan and set up everything, and all we had to do was show up." 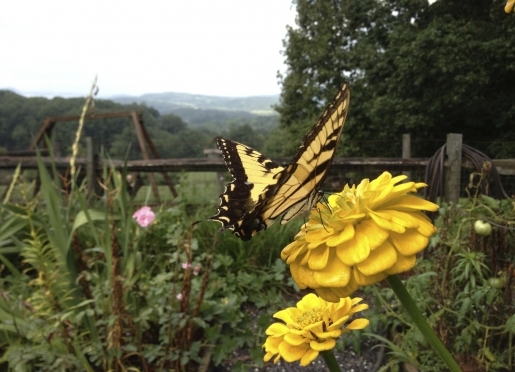 Being on the outskirts of the Shenandoah Valley, nature is ever present at the inn. You will likely see deer crossing the lower fields in the early morning and enjoy the antics of the mockingbirds. 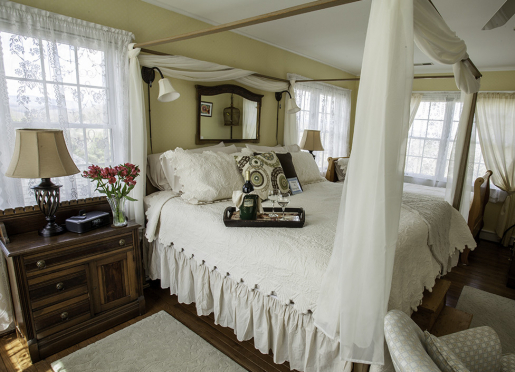 Perhaps the foxes will make an appearance during your stay. If you visit between April and October, our hummingbirds will delight you. They flit in and out of the Cottage Garden verandah posts, dipping into the feeders and chasing one another around and around. Songbirds are everywhere - a portion of the front field is left wild to encourage them, and feeders by the garden keep them coming back. The chipmunks also like the feeders; they steal the sunflower seeds and plant them in the garden for our enjoyment in late summer. Afternoon lemonade and cookies on the verandah are a special summer treat. 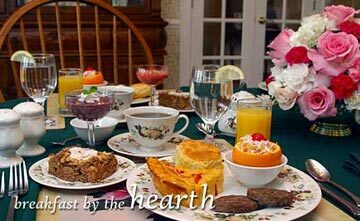 Refreshments are always available from the hutch in the sitting room on the second floor. To help you stay connected with friends and loved ones, we offer a guest computer with free high-speed Internet access. The Brierley Golden Retriever & Bernese Mountain Dog. 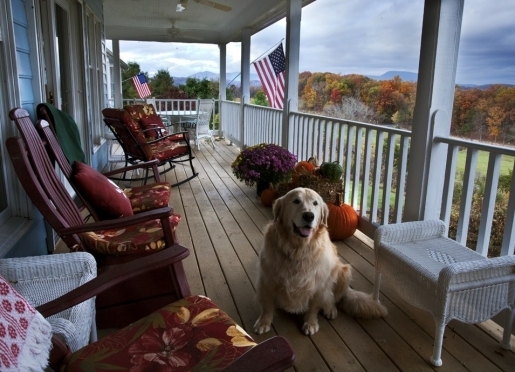 A popular inn resident are Tucker - the Brierley Hill Golden Retriever, and Deuce - The Bernese Mountain Dog. If you wish canine attention, Tucker & Deuce just may join you on the verandah in the afternoons. 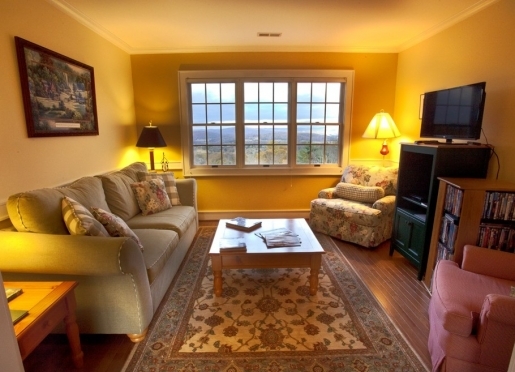 The remainder of the guest area is limited to two-legged innkeepers and guests only. Historical sites and museums, quaint shops, and local theater - not to mention the astounding natural beauty of the area - Lexington has it all. 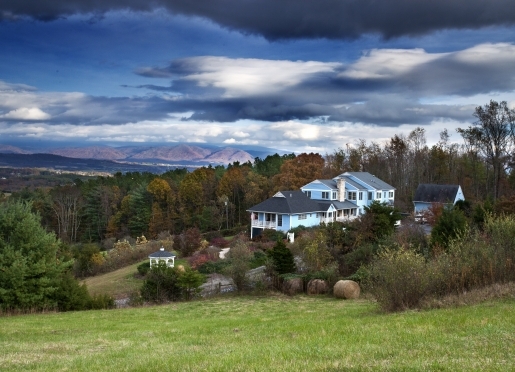 Not to mention our proximity to the Shenandoah Valley! Whatever your hobbies or interests, there's bound to be a nearby attraction or two that's right up your alley. See our website for a more complete list. Give us a call for details on our latest activity packages, or simply for help planning your stay in our lovely corner of the world. With ancient oaks and grand historic buildings, the campuses of the Virginia Military Institute (VMI) and Washington & Lee University (W&L) are lovely places to enjoy an antebellum stroll. The VMI campus also offers The VMI Museum, which chronicles the creation and development of VMI and the amazing contributions of its alumni to American history. Most Friday afternoons in spring and fall, the cadets at the Virginia Military Institute march in full dress uniform on the school's parade grounds. This much-loved tradition of patriotic pomp and circumstance is a great spectacle and a truly unique Lexington experience. Buried in this historic cemetery on the south side of town are Stonewall Jackson, 144 Confederate veterans, two Virginia governors, and Margaret Junkin Preston, the Confederate's Poet Laureate. Six miles of wildlife and wildflowers await you along this former railroad bed of the Chesapeake & Ohio Railroad. Glorious limestone formations mark the path along the scenic Maury river. Just a quick drive down the highway, these two historic sites are well worth a visit. Wade's Mill, a historical 1750s grist mill, still produces flour today and offers a truly unusual outing. You can see the behind-the-scenes workings of a mill - and shop for gifts all in one spot. (800) 290-1400. Buffalo Springs Herb Farm is an 18th-century farmstead offering herbs, botanicals, dried flowers, plants, and garden tours. (540) 348-1083. Listed on the National Register of Historic Places, Lexington is a small, bustling city full of history and commerce. With period architecture, historical buildings, and exceptional shops, it's a great place to stroll the day away. Don't miss the many wonderful antique shops and Cocoa Mill Chocolate Co., our award-winning chocolate shop.